I was invited for an interview on Croydon Radio and decided to take a dish from the book with me, so I made a Christmassy version of the Victoria cake. You can listen to the interview here It is a 2hrs show with DJ Tom C I am on from 1h20mins. 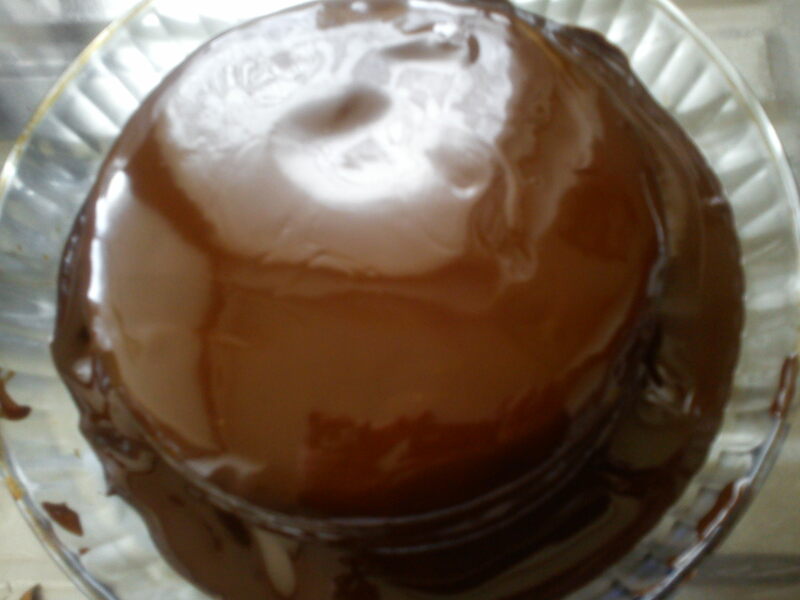 Please click here to see the full recipe for the sponge cake. This cake will serve 8 to 10 people with a portion worth 25 to 60p depending on if you are on a low budget or get your ingredients from a foodbank. The sponge mix 25p, I got 3 pomegranates from my local street market for £1 so the quarter I have used only cost me 10p. 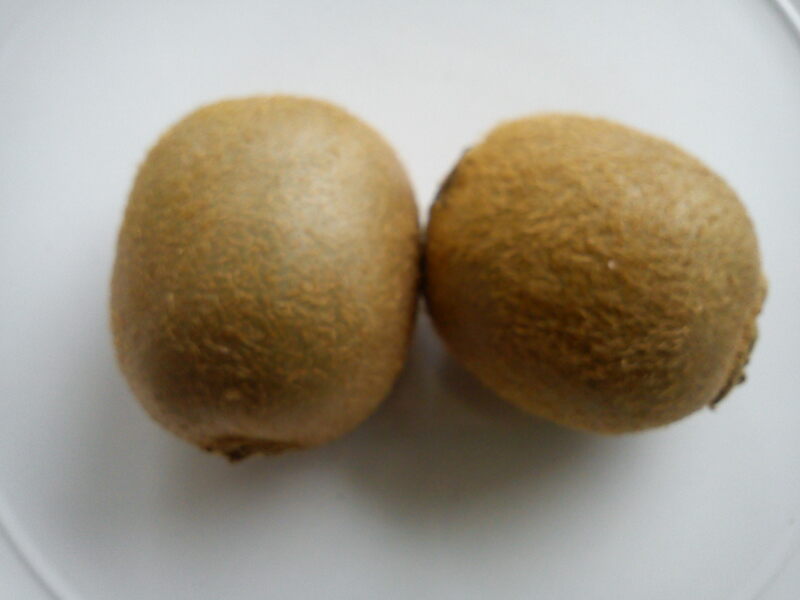 From the same market I got 20 Kiwis for £1.00 so, using 2 of them cost me 10p. 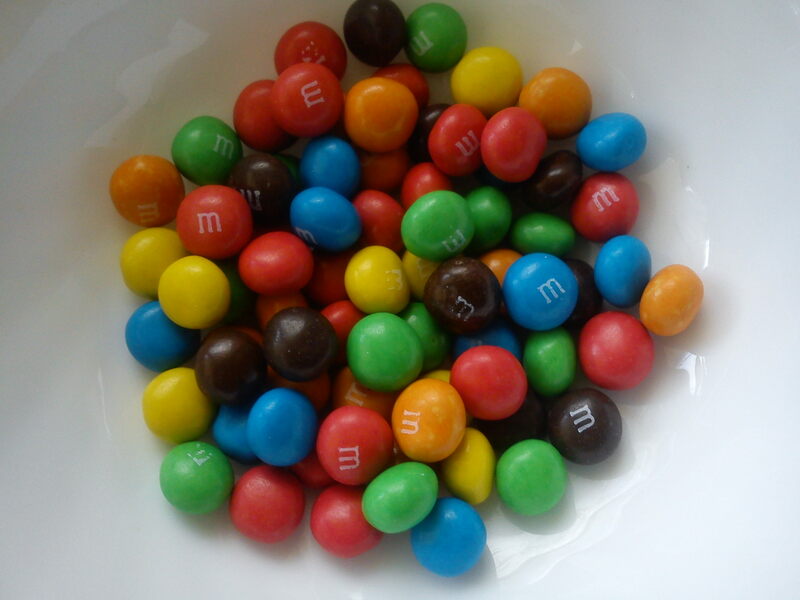 Then the M&Ms pack at 70p and the pack contains about 30 pieces. I used 3p worth for my cake. All the extra used total up to less than £1.00. Cake mix is 25p from Sainsbury’s, dark chocolate is 79p from Lidl, butter (Stork) cost £1 and a good quality jam costs 99p to £1 either at the 99p or pound shop. I could also use supermarkets’ own brand at less than 50p. I got my pack of eggs from the 99p store. A pack of 10 fresh eggs at 99p and I only needed 2 of them as I needed 4 sponge cakes to stack. Before you start making the cake and chocolate covering, make sure that all the prep is done as all goes very quick once the sponge is baked. Kiwis: peel rinse and cut them as neatly as you can. Dab them with kitchen tissue and set aside. 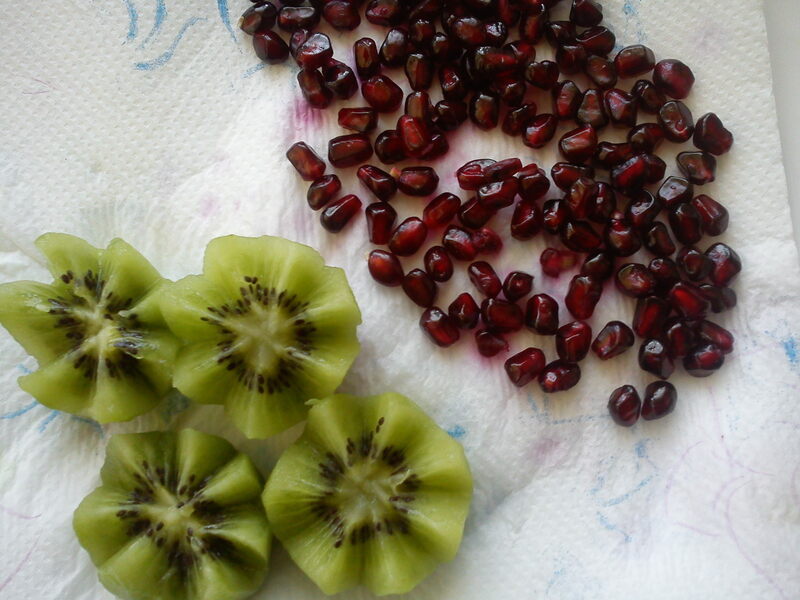 Pomegranate: cut and gently remove the jewels without popping them. Gently rinse and place on a kitchen towel to dry. 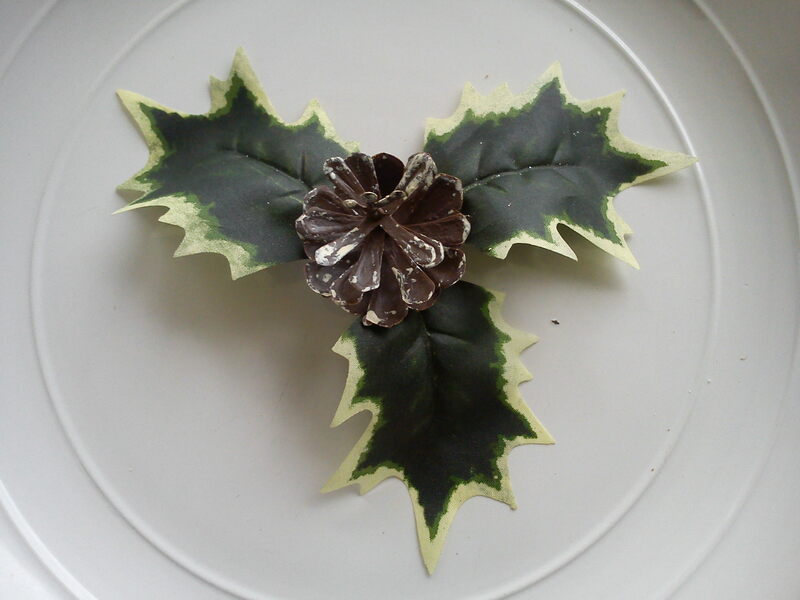 Holy leaves: cut and remove the inside of the leaves as you will only use the out lines. Rinse and set aside. Now that all the prep is done, follow the instructions on here… after you have covered the cake with chocolate, give it 2 to 3 minutes, then, start decorating. 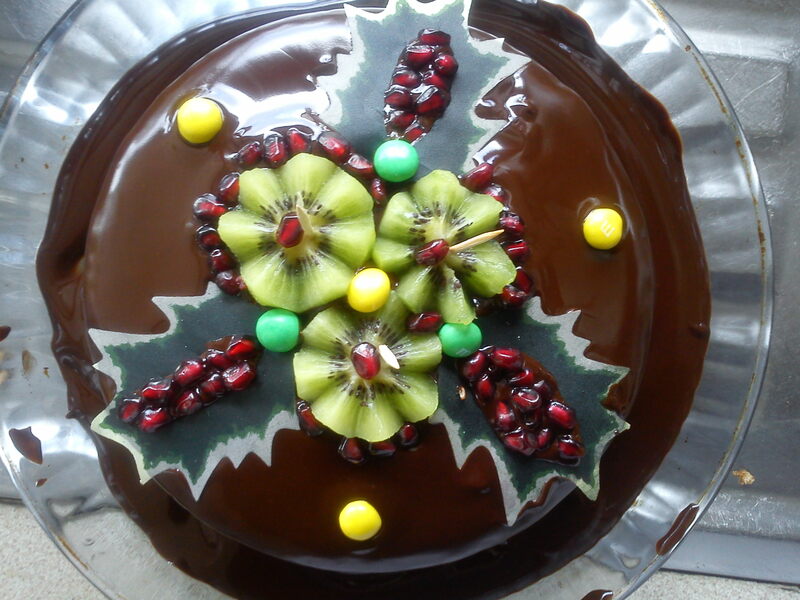 You have to wait for the chocolate to set a bit to avoid the decoration sliding off the top of the cake. 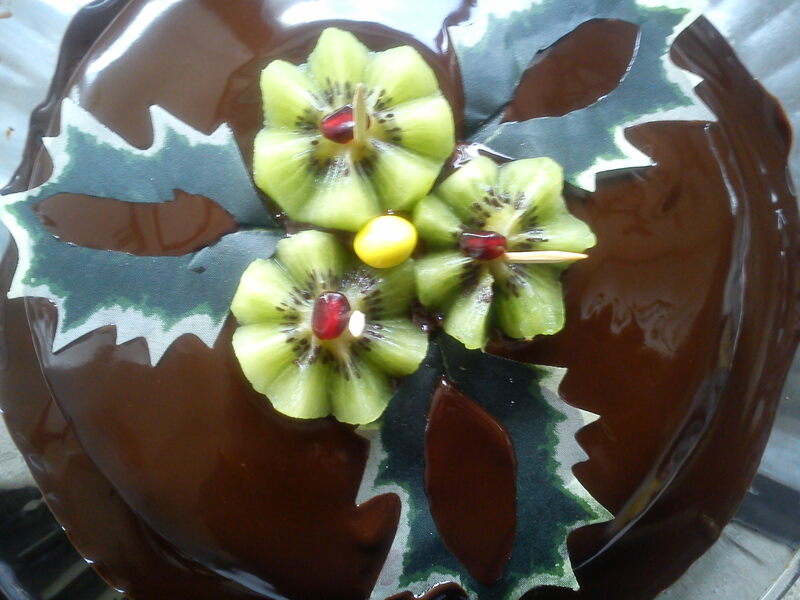 First place the Kiwis in the centre and hold them there with a tooth pic. 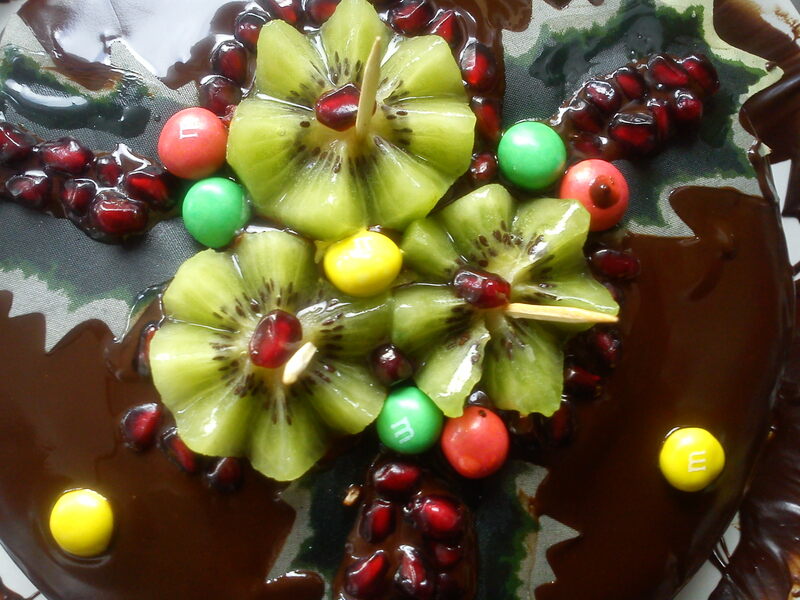 Now carefully place the leaves and fill them with the grenade jewels, then, the M&Ms. Tap each item gently to make them stick on the chocolate. Place all in the fridge for 10 minutes. Meanwhile prepare the jelly. 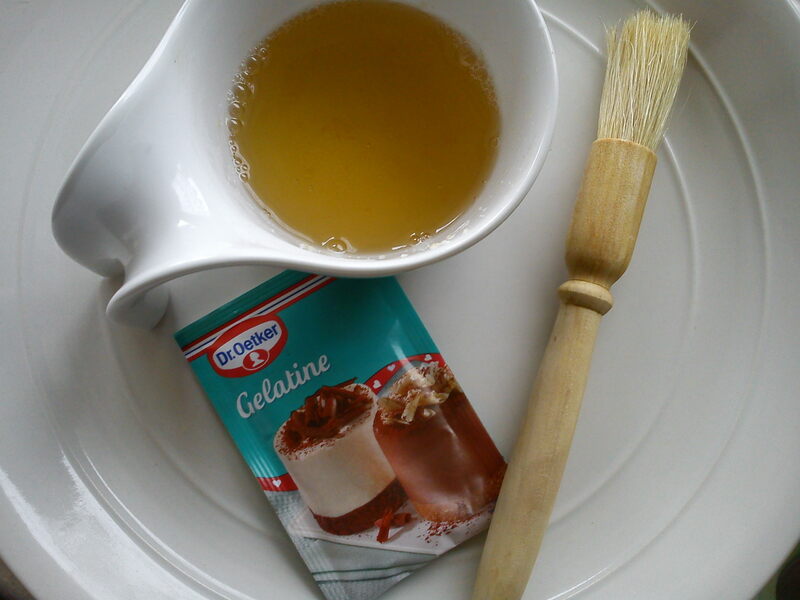 The jelly will help to glue every element of the decoration to the cake and also prevent the fruits from looking pale. To prepare the jelly, place 1 sachet of jelly in a small cup and add 5-7 table spoons of boiling water then stir quickly until all the granules melt. 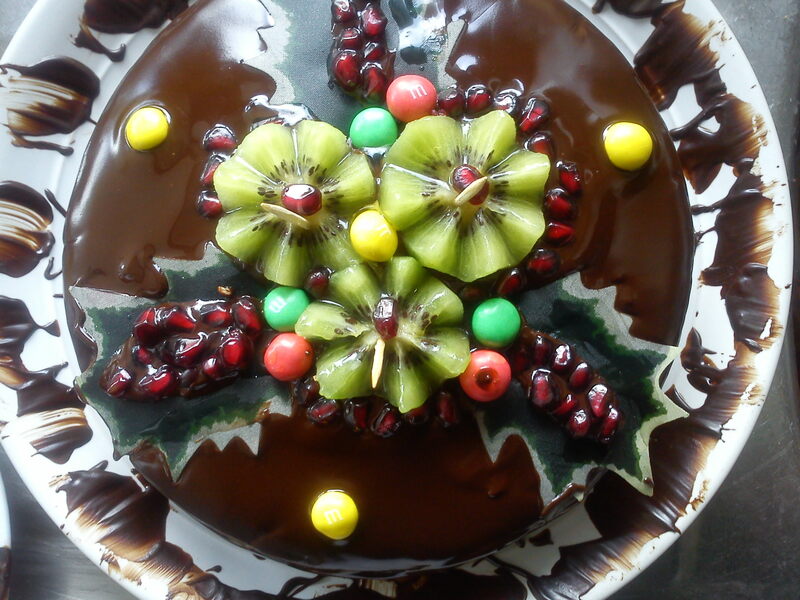 Immediately get your cake out of the fridge and using you patisserie paint brush gently paint your fruits with the jelly. Just one layer will do. Place the cake back in the fridge and it will be ready to serve in 30 minutes. If you can, get the children involved and they will have fun doing it. Et voila! You are done! Hap-pee Christ-Mass!